A commercial process was developed for producing a recombinant vaccine against hydatidosis in farm animals. The vaccine antigen consisting of a surface protein of the oncospheres of the hydatid worm (Echinococcus granulosus), was produced as inclusion bodies in Escherichia coli. 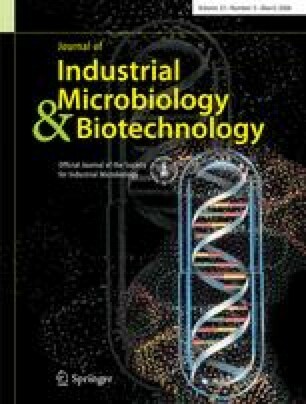 Fed-batch cultures of E. coli using Terrific broth in stirred bioreactors at 37°C, pH 7.0, and a dissolved oxygen level of 30% of air saturation produced the highest volumetric concentrations of the final solubilized antigen. An exponential feeding strategy proved distinctly superior to feeding based on pH-stat and DO-stat methods. The plasmid coding for the antigen was induced with isopropyl-β-D-thiogalactopyranoside (IPTG) at 4 h after initiation of the culture. The minimum IPTG concentration for full induction was 0.1 mM.